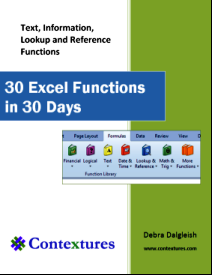 This is an index to past issues of the Excel Weekly News from Contextures. The newsletters are posted here approximately one month after the email date. Email subscribers have exclusive access to the content when it is first published. 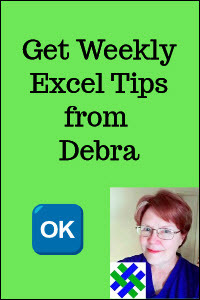 To get each new issue by email, as soon as it is published, please sign up for the Excel Tips newsletter, using the form at the left.